preacher and author. 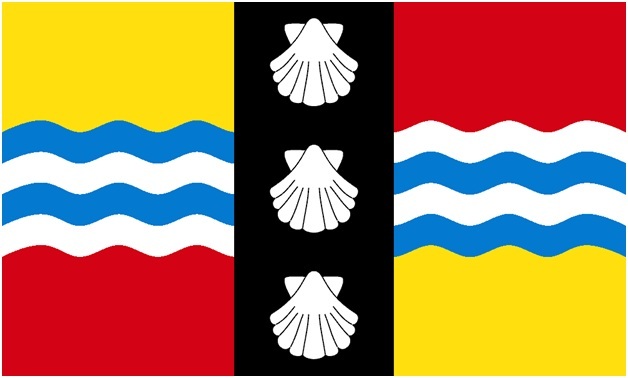 This date topped a poll held by the Friends of Bedfordshire Society to decide the county day and was announced as the winner in February 2015.
for refusing to stop preaching. During this time he began work on his most famous book, The Pilgrim’s Progress, which was not published until some years after his release. Although he endured another shorter term of imprisonment, his later years were spent in relative comfort as a popular author and preacher, and pastor of the Bedford Meeting. He died aged 59 after falling ill on a journey to London and is buried in Bunhill Fields, Islington. His “The Pilgrim’s Progress” became one of the most published books in the English language; 1,300 editions having been printed by 1938, 250 years after the author’s death. This entry was posted in Bedfordshire. Bookmark the permalink.